blame it on the Finns... they claim to have started a lot of these silly sports... they must have a lot of extra time on their hands waiting out the long dark winters..
What are the odds were going to match that swamp? Soomaa National Park is about 100 miles south of Tallinn and is known for its swamps and bogs (Soomaa means "land of bogs" in Estonian). Surprisingly, swimming is popular and is said to rejuvenate the skin. swamps and bogs. 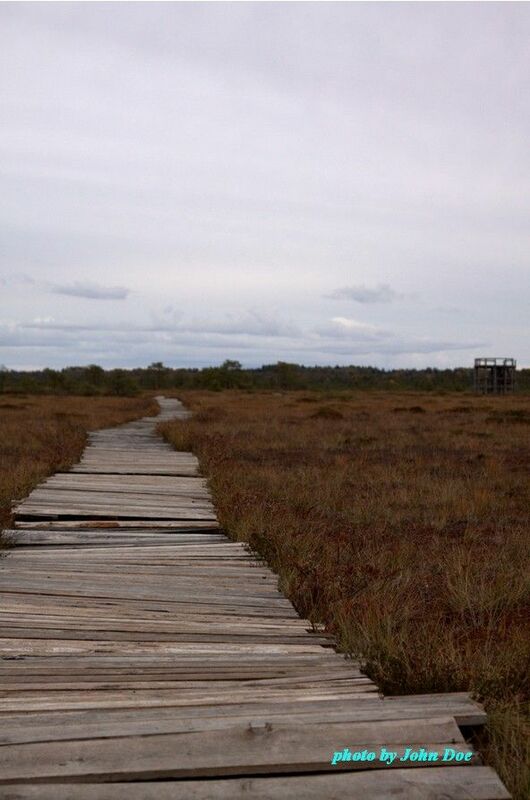 One of the most suggested place to go there is Viru raba (Viru bog), that has 5km foottrack and watching tower. You can also start and finish in same location if You go to tower and back or take a round trip back to start around the bog. There are good maps and information tables at the track. Kaberneeme village is about 40km east of Tallinn on the coast. The village has 2km long beach area with pine tree forests edging right up to the shore. from 18 until 20 July the town of Hyrynsalmi hosted the Swamp Football World Championships. It is said that this sport also originated from Finland, where it was used as a training method for athletes and soldiers. As the soft ground made it harder to play, it was seen as a physically more demanding way to play football. The first Finnish Championships were held in 1998, and the event grew to world championship status in 2000. These days there are an estimated 260 swamp football teams around the world. 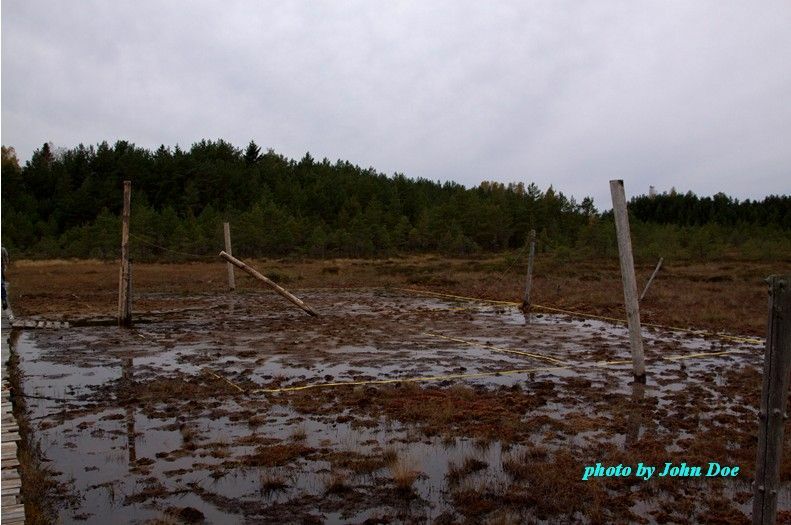 Only a week from the Swamp Football World Championships, the town of Haukivuori held the Swamp Volleyball World Championships. I found it------- Kehtna, Raplamaa, Estonia, its an hour drive give or take south of Tallinn. 1. 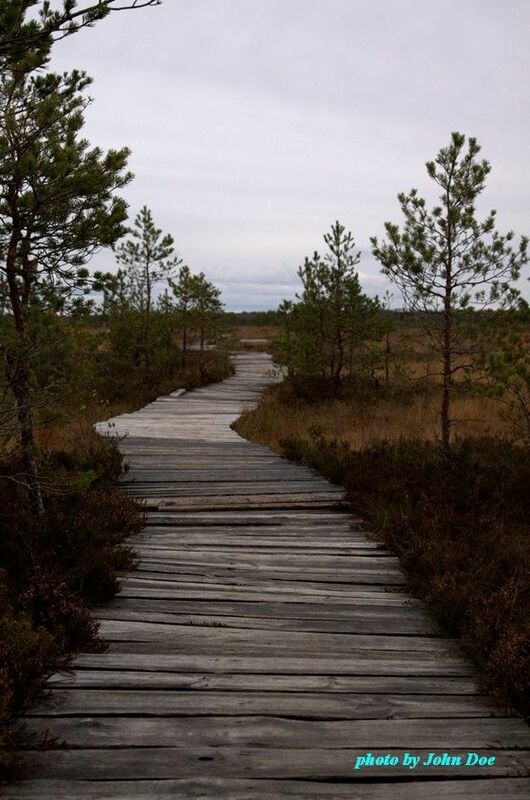 8km long Loosalu – Paluküla Hiking Trail, with a plank road, starts from the South of the Vana-Kaiu Manor and passes through big Loosalu Bog Lake to the Bulge of Paluküla - Reevimäe, situated among the bogs. Paluküla Hiiemägi (106m above sea level) is the highest point of Western Estonia. Is he referring to Phil or the greeter? Wow puddin...I didn't think it would be possible to tell one bog from another!! GREAT FIND!!! I think he means the host of the hiking event maybe, slowhatch...not our Phil. 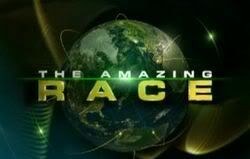 Unless of course theres some time penalty involved with the task, like if you don't get it right the first time you have to wait your turn again, just covering all bases not to assume everything is black and white. What a great guy! I really didn't think he would answer, thanks peach and tell John Thank You! Thanks, Peach! (and John Doe) So it's Keava bog, then? And this must be the watchtower. So its still possible that Cheyne and Meghan arrived first? And Brian and Ericka are sharing the van?! Who would have known? I'm expecting we'll have a replay of Luke and Jen's smackdown this episode at the pitstop between the boys "He shoved me FIRST!" and then we'll get the slow-mo film of who shoved who and who tackled who first. Puddin is the official champion of RFF spoiler lols. This may have already been mentioned, but it was a Detour clue. Do we know the third team in the van?? If it isn't M/C...maybe they get to the field first while the other three make that wrong loop? ?